We're launching Kestrel Post - Join us! 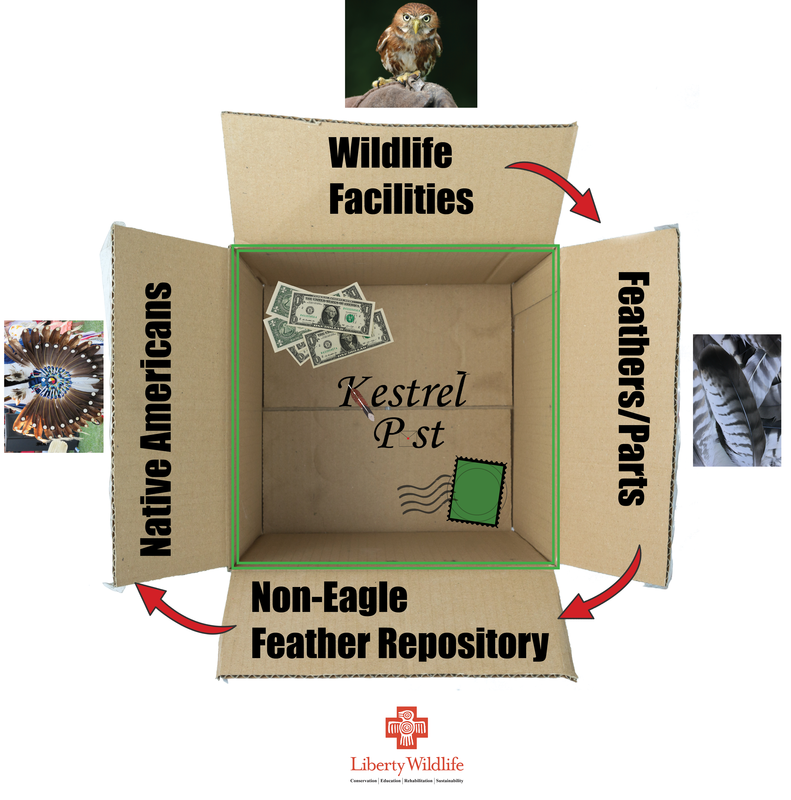 Kestrel Post seeks to establish a sustainable source of postage funds for wildlife facilities, enabling them to mail feathers/parts to the Non-Eagle Feather Repository when otherwise not financially able. When feather/part donations arrive at the Non-Eagle Feather Repository, they are inventoried, documented, and stored for distribution. The repository distributes feathers/parts to Native Americans on their waiting list at no charge. 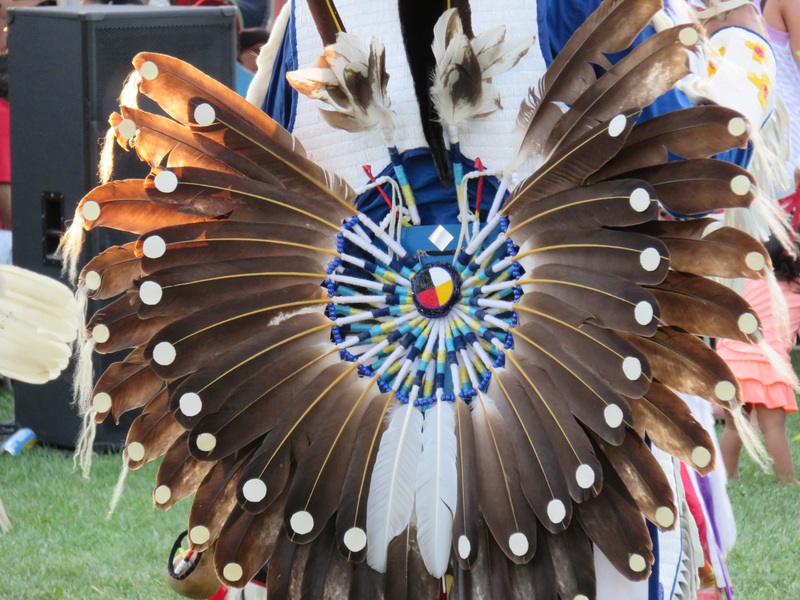 Feathers/parts, are used by Native Americans for ceremonial and religious purposes. 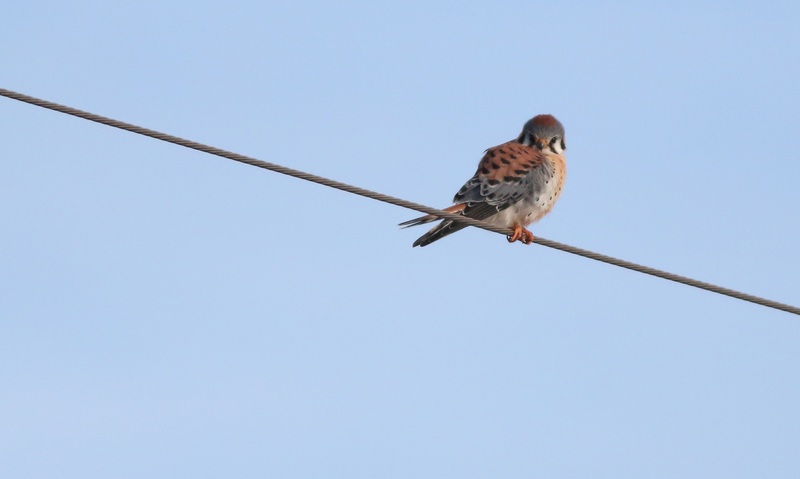 Our project seeks to obtain the initial capital required to register Kestrel Post as a 501(c)(3). This will not only give federal recognition as a non-profit organization, but will also enable Kestrel Post to adequately sustain the funds required to support its mission. We also seek to cover miscellaneous startup costs, as well as funding for our first shipment. Akin to the National Eagle Feather Repository (est. in the early 1970s), Liberty Wildlife's Non-Eagle Feather Repository (LWNEFR) (est. in 2012) collects non-eagle feathers and distributes them to Native Americans for cultural and religious purposes. This is the only way for Native Americans to legally receive these culturally and religiously significant feathers and parts in the United States. In addition, only facilities who are authorized to possess non-eagle birds of prey are able to contribute feathers and/or parts to this program. As a result, rehabilitation centers and housing centers (i.e. state parks) become an integral part of this collection program for repositories. In order to pay for shipping, wildlife facilities need to have that money in their budget. Some facilities do and currently send their feathers/parts to LWNEFR in the manner depicted above, completing the process seamlessly. However, many other wildlife facilities don't have money in their budget for shipments. That's where the issue comes in. 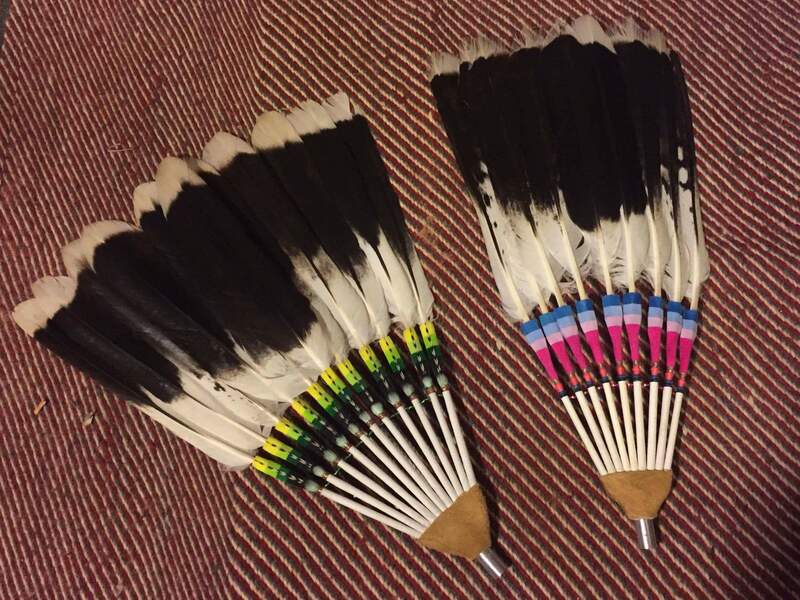 While funds are available for sending feathers/parts to the National Eagle Feather Repository, such funds are not currently available for sending feathers/parts to The Non-Eagle Feather Repository. Wildlife rehabilitation facilities concentrate their efforts, donations, and budget on the care, rehabilitation, and housing of animals that enter their facility - the funds required in sending parts/feathers to the Non-Eagle Feather Repository in the absence of a sustainable source of income for the postage is an unwieldy tasks. Budgets may not allow for the shipment of feathers and/or parts to this federally recognized repository. In short: no money = no stamps = inability to send feathers/parts. This situation disrupts the process. Kestrel Post seeks to fill that void. Kestrel Post seeks to be that bridge that enables shipments. Kestrel post seeks to raise funds for postage that would allow these facilities to mail parts/feathers to Liberty Wildlife's Non-Eagle Feather Repository (LWNEFR). To balance these donations, we will also be helping LWNEFR's postage costs, as they send feather/part shipments to Native Americans free of charge. By providing funds for postage, Kestrel Post can maintain the smooth processes of donations, even if facility budgets are an issue. What do you mean by feather/parts? Despite exemplary medical efforts and expertise, inevitably not all birds survive trauma when they arrive at wildlife rehabilitation facilities. Animals that die within facilities tend to be sent to an incinerator if they are not being collected for other scientific studies. Kestrel Post would enable facilities to ship the bodies of deceased non-eagle birds of prey to the Non-Eagle Feather Repository. 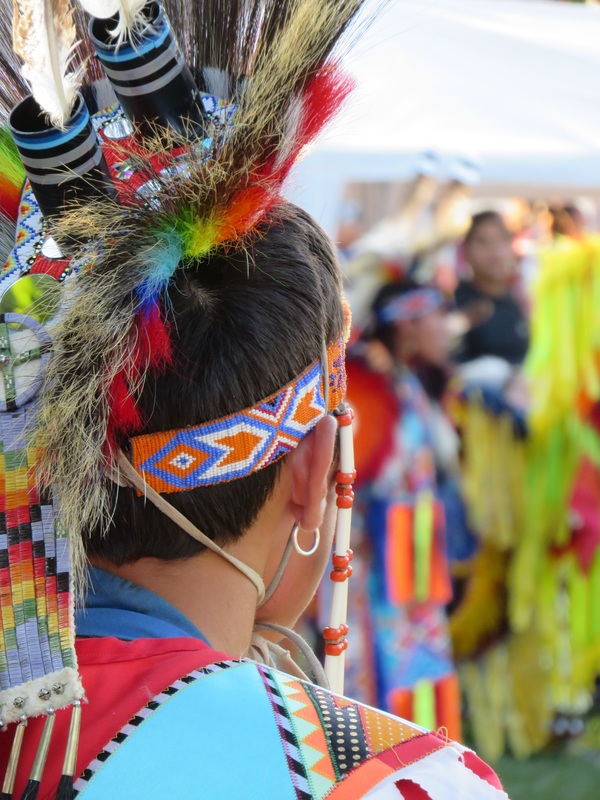 Parts of the birds would then be distributed to Native Americans for religious and cultural purposes. Any donation you can offer will significantly help! After the small transaction fee, as mentioned in the budget breakdown, 100% of your donation goes towards the mission and goals of Kestrel Post. We sincerely appreciate any monetary contribution you may have to offer. If you are unable to give at this time, please remember us and follow us on Twitter, Facebook, Instagram, and LinkedIn. And please check out our website to learn more about how you can stay connected and get involved. Once we get rolling, we can use any time and talent you may be willing to offer. For detailed information on our budget breakdown and logistical vision, please visit our website for more information. We'd be more than happy to share our number-crunching. Where did the idea for Kestrel Post come from? Time to introduce myself! My name is Brooke Warrington, and I am very passionate about this project. From 2011-2012, I was a Park Naturalist for Soldiers Delight in Owings Mills, MD, taking part in their "Scales and Tales" program. It was there that I cared for 19 birds of prey and traveled for environmental educational program. 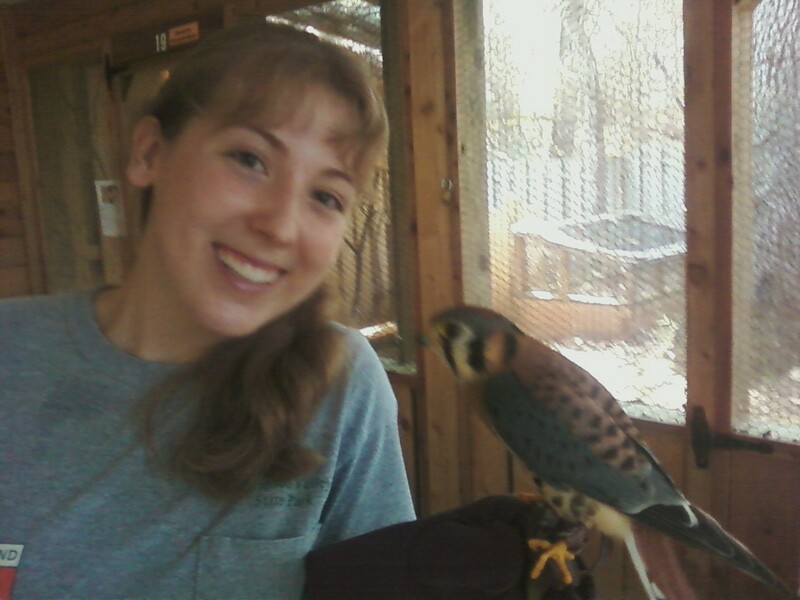 Of course, one of my favorite birds to work with was the little American Kestrel pictured below! During my time at Soldiers Delight, we were able to send the naturally molted feathers to the National Eagle Feather Repository and The Non-Eagle Feather Repository. However, we were able to mail these naturally molted feathers with the support of state funding. As a result of my time interacting and working with rehabilitation facilities through my state park naturalist position, I came to understand that funding at these facilities can sometimes be tight, and budgets may not allow for the shipment of feathers and/or parts to this newly federally recognized repository. It is a cause I am very passionate about, and I am very dedicated to making this a success. I'm very excited to finally launch this effort. Where can I learn more about the Non-eagle Feather Repository? You may find additional information through their website. They are positively a delight to work with, and any feather and/or parts donations make a significant impact. The outpouring of joy and appreciation I received via email after sending to them our naturally molted feather donations during my time at the state park was immensely touching. $200 to send our first box to the non-eagle feather repository! Additional money will support additional postage funding for a wildlife facility to send feather/part donations the non-eagle feather repository (apx. $200/box). We'll also be balancing donations by providing a portion of postage funds to Liberty Wildlife Non-Eagle Feather Repository for distribution to Native Americans (1/3 of all postage funds raised). Some funds will be saved for for future fundraising campaigns. It's time to let loose the kestrel's signature call: it's killy! Nothing like a burst of excited and loud notes to let you know we're stoked. We'll be creating a video with an individualized shout-out to our first 100 donors, to be posted on our YouTube channel. Be sure to check it out to hear your name. We'll also be sending you an exclusive donation sticker, a thank you note, and recognition on our website's Wall of Donors. Thank you so much for donating! We love kestrels, but also adore our owls. As a thank you, we'll send you one of our homemade 3D printed owl-charm key-chains. You'll also receive an exclusive donation sticker, thank you note, and recognition on our website's Wall of Donors. Thank you so much, you were key to making this vision become a reality! Wowza, thank you! As a special thank you, we'll send to you a limited edition 3D printed owl statue,. We'll also be sending you a limited edition sticker, thank you note, and give you a shout-out on our YouTube channel. Plus, we'll mention you as a jumpstart donor on our website's Wall of Donors. Enjoy your awesome desk decoration and thank you so much for your donation. Whoa! Thank you so much! As a special thank you, we'll send you a limited edition handmade (by us) necklace that includes a Kestrel postage stamp! We'll not only recognize you on our website's Wall of Donors, but we'll also be sending you a sticker and be sure to give you a shout-out on our YouTube channel. Show off that swag, and thank you for your donation. Can't decide between the handmade, limited edition Kestrel Post Necklace and 3D printed owl? Have no fear, check out this tier! We'll not only include both, but we'll also send you the limited edition sticker, thank you note, recognition on our website's Wall of Donors, and shout-out on our YouTube channel. Thank you so much!